Located in the northwest corner of Oneida County, Minocqua obtained township status on March 13, 1889. The town’s name was derived from the Ojibwe word “Ninocqua,” meaning “noon-day rest.” Native Americans once used the Island of Minocqua as place of rest during their journeys. Today, Minocqua (often referred to as part of the Lakeland area) is a flourishing tourist destination, with a variety of accommodations – from rustic cabins to luxurious condominium suites, and campgrounds to bed and breakfasts. It features fine dining, unique shopping, attractions and historical museums, as well. 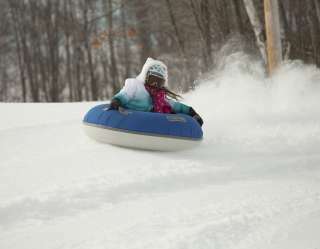 It is also home to one of the largest concentrations of fresh water bodies in the world, providing endless outdoor recreational opportunities for four seasons of fun in the Northwoods. Minocqua has an approximate year-round population of 4,821, and is the largest township in the northern half of the county. Because its major industry is tourism, the population nearly quadruples during the summer months. 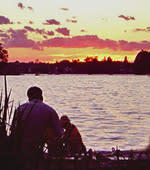 The township consists of approximately 107,520 acres of land and contains approximately 45 lakes. Approximately 187 miles of road located within the township. The altitude is 1,626 feet. The Town of Minocqua is governed by a town chairman and a four-person board of supervisors. Town board meetings are held on the first and third Tuesday’s of each month, beginning at 7 p.m. in the board room of the Minocqua Community Building. The Minocqua Community Building, located at 415 Menominee Street, was originally the Minocqua High School, which was built in 1907. An addition was added in 1935. In 1982, when the building was being renovated, a fire destroyed the oldest section of the structure. This section was rebuilt and officially opened on June 26, 1983. Today, the building houses the Minocqua Public Library, Town of Minocqua offices, meeting rooms and Volunteer Fire Department. The name Minocqua is said to be derived from the Ojibwe word “Ninocqua,” meaning “noon-day rest.” The island is believed to have been the area Native Americans camped at during their travels. Other legends say the name came from Ojibwe Indian Chief Noc Wib or Minocquip, who lived on the island with his followers. The history of Minocqua is also rich in logging lore. When early settlers arrived in Wisconsin, virgin forests with mammoth, hundred-year-old trees covered nearly 90 percent of the state. This vast wonderland was viewed as an inexhaustible forest by loggers arriving at the turn of the nineteenth century to harvest the wealth of timber. Logging boom towns cropped up everywhere. In 1887 when Chicago, Milwaukee, St. Paul and Pacific Railroad Companies forged their way to the northern most regions of the state, Maniwaki sprang up as a major logging town. It was formally established on March 13, 1888. In 1891 the town consisted of 29 saloons, two hotels, two general stores, a small market and approximately 15 homes. Lumberjacks could be seen everywhere, especially in the saloons, frequently drinking until their paychecks were gone. Interesting tales exist of surgery performed in the saloons by the famed Dr. Thomas Torpy, after whom Torpy Park is named. The lumberjacks worked feverishly through the winter months, reaping as much timber as possible until the spring thaw, when the logs were sent south to the mills. In the 10-year period between 1890 and 1900 loggers cut nearly all of the pine and hardwood forest of the north. As the logging industry dwindled, the resort industry began, and the railroads were used to bring visitors by the hundreds who were seeking the plentiful fish that swam in the beautiful lakes and the abundant recreational opportunities in the area. A "Fisherman’s Special" weekend excursion was established, and the Northwoods Hiawatha brought up eager fishermen. Businesses prospered as more and more people found the area a delightful place to live. The businesses were originally established on Front Street, which was the main street of town in the early 1900s. But in 1912, a devastating fire leveled most of them. The fire started at the Lakeside Hotel, which was located on the corner of Front and Flambeau streets, across from today’s post office. A group of men tried to stop the fire by setting dynamite, but their plan failed and 14 buildings burned to the ground, including the Lakeside Hotel, a general store, a meat market, a restaurant and the opera house. The estimated damages were $110,000 – a staggering amount in those days. Some of the business owners rebuilt at their former sites, but most of the re-growth was on Oneida Street, the main street of town today. Many of the later buildings remain today. Blue historical signs are posted in front of them.